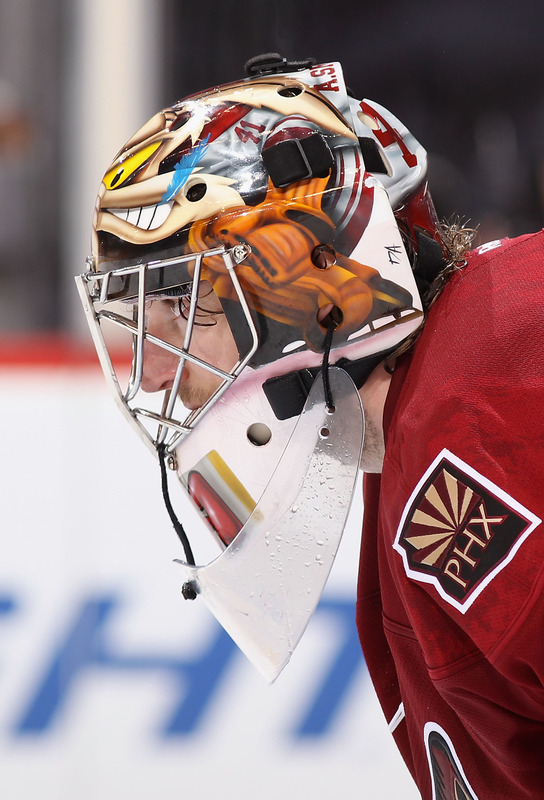 This guy will be the key to the Coyotes success in the 2012 Stanley Cup Playoffs. I don't know about you, but I feel that this year's team is different than the Bryzgalov-led teams in the past two seasons. Don't get me wrong, Bryzgalov was a great goal-tender, but he lacked a certain clutch factor that we've seen from Mike Smith in the final regular season games. Even though Phoenix is a 3rd seed and a division champ, they only have 97 points and are matched up against a star-studded Chicago Blackhawks team. Game 1 started out with an early goal by the Blackhawk's captain, Jonathan Toews. The air was sucked out of the building for two reasons: Chicago's dominant offense produced a goal against the defense-minded Coyotes, and Phoenix is not a true Hockey town, so they don't know how hockey truly works. Hockey is won by quality shots, quality goal tending, hits, and blocked shots. That's where the Coyotes won the game. Phoenix scored twice in the second period and out hit Chicago 48-22. However, Chicago would out shoot Phoenix 45-34, which led to a Brent Seabrook tying goal with only 15 seconds left in regulation. The game would go to sudden-death overtime, where the more offensively gifted team usually wins. However, this is also where the team who wants it more will win. Martin Hanzal scored the game winner 9:29 into the OT period, giving the Coyotes Game 1 of the series.